The Electromechanical Systems Branch provides Electromechanical/optomechanical capabilities and technology development expertise to conceptualize, define, design, analyze, fabricate, integrate, and test world-class scientific instruments and spacecraft components in support of a variety of ground-based, suborbital, orbital, and interplanetary space and Earth science missions. 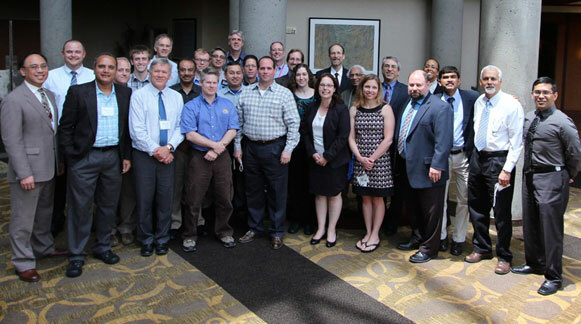 Members of the Electromechanical Systems Branch pose at the 42nd Annual Aerospace Mechanisms Symposium . The branch hosted the symposium in May of 2014, in Baltimore, MD.